An 11-part class on souls, higher selves, life purpose, conception, incarnations, death, aura, chakras, DNA, premature birth, SIDS, still born, twins, twin flames, soul mates, ascension, over-souls and universes. Everything to know about souls, soul journeys, challenges, gifts, unusual circumstances, higher selves, life purpose, the incarnation cycle, twin flames, premature birth, conception, the chakras, the aura, physical twins, soul merges, soul mates, SIDS, still born, life cycles, death, DNA, over-souls, soul ascension, the four universes, and over-soul migration. This class mostly focuses on what a soul does when it incarnates. Part 1 looks at the life purpose, free will, possibility outcomes, learning wisdom, how the life purpose is developed, gifts and challenges, divine intelligence, spiritual essence, spirit guides, life encounters, unresolved issues, agreements, contracts, webs, and choosing parents. Souls part #2 covers details about soul contracts and agreements, Karma and ascension, Body and Spirit, the duties of the divine intelligence and spiritual essence, DNA and RNA, genetic tendencies, biological functions, consciousness, life purpose, spiritual body, idealism and creativity, adventure, passion and dreams, incarnated personality and soul purpose. Souls part #3 explains the transfer of consciousness energy from the etheric soul into the physical body (conception) in detail, and how the chakras and aura layers are formed, life purpose integration into the energy centers and physical body. Part #4 of the Souls class covers details about your spiritual essence, what it does and when it connects to you. Then Shad explains various birth scenarios, why they occur and how they occur, including still born, SIDS, premature, twins, and the anomaly of twin flames. Many people are curious about what happens at death. Souls part #5 explains the process from the perspectives of the incarnated personality, the chakras, the soul, the divine intelligence of the body, the spiritual essence, and the higher self. Part #6 of this class covers several additional understandings that haven’t been talked about so far. 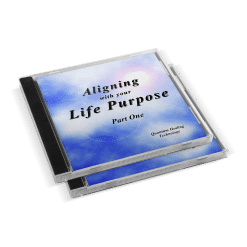 Topics include the events in your life in order to learn, life purpose, souls working together, emotional triggers, ego, externalization, co-creation, drama, self-awareness, judgment, soul intervention and protection. Souls part #7 reveals various anomalies that occur within souls and the lifetimes that they create. Several examples of emotional carry-over between kingdoms of lifeforms are given. Souls part #8 reveals deep esoteric information about the Higher Self and soul. Part #9 of the Souls class talks about soul ascension, soul purpose, the incarnation cycle, soul wisdom, love, evolution, free will, dimensions, over souls, consciousness choices, learning cycles, denser realities, consciousness energy groupings, parameters of existence, the beginning of time, universes, black holes, mass, density, gravity and the illusion of time. Souls #10: Four Basic Universes. This is very esoteric information and some people may not relate to it, but it’s worth considering. Shad talks about how consciousness energy organized itself at the beginning of time, and reveals details on the differences between universes. Toward the end are explanations of advanced physics. Part #11, the last part of the Souls class, reveals little known information about oversouls.